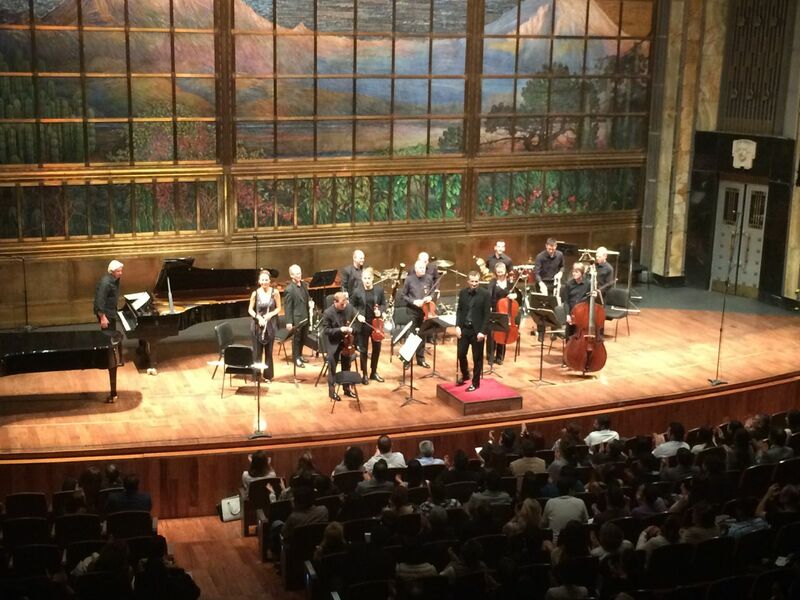 The London Sinfonietta are in town, playing at Palacio de Bellas Artes, conducted by Garry Walker (who'd already come to Mexico a few months ago as part of the Festival de Mayo in Guadalajara). Interesting programme kicking off with the bizarrely titled Wonderful No-Headed Nightingale by youngish British composer Luke Bedford (during which Garry Walker said afterwards that he came over faint and nearly keeled over), followed by a specially commissioned piece by a young Mexican composer, Marisol Jimenez, which was probably the most extreme of the evening: all prepared piano, violin bows scraping the music stand and rattling the keys of wind instruments without blowing. The main attraction for me was Laurence Crane's Chamber Symphony No.2, again a new commission and perhaps a new direction for Laurence - very mature, engaging and accessible. 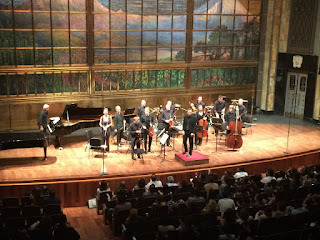 It seemed that most people preferred the second half, with pieces by Colin Matthews, Enrico Chapela and Harrison Birtwistle, but I lost a bit of interest, except for the Mexican composer's Acoussence which was split into five varied parts and was the best of the evening, along with Laurence's.